Alright guys, this post’s definitely belated but better late than never, right? 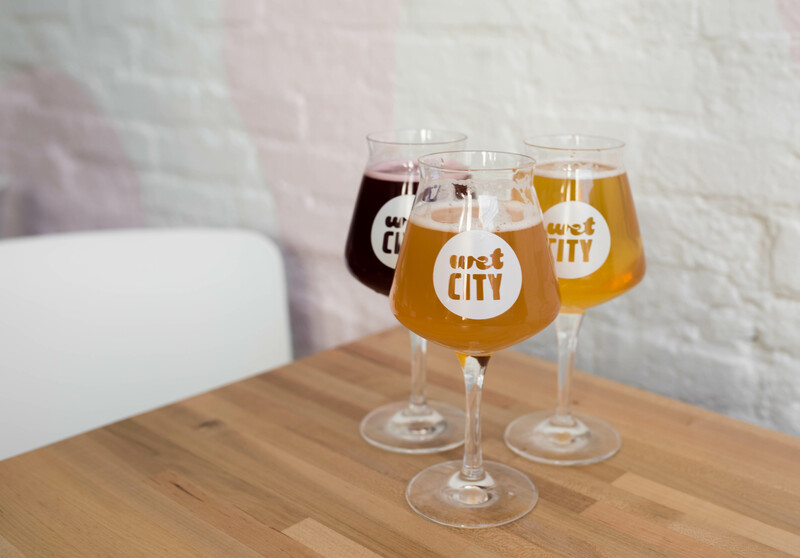 A while back, Chyno (aka @thebaltimorefoodie) hosted a lovely tasting at Wet City, and I wanted to write about it because I really enjoyed the food! I had a crazy migraine at the time so I didn’t get to try all the drinks shown, but the noms were on point! FYI, if you’re a beer aficionado, you definitely want to get down here stat because they brew a lot of their own dranks. They sent out a ton of different dishes for us to sample at the tasting, but unfortunately, some are no longer available because they were Mardi Gras specials! There are a few staples that I’ll be featuring though so don’t let that discourage you from reading today’s nom post. 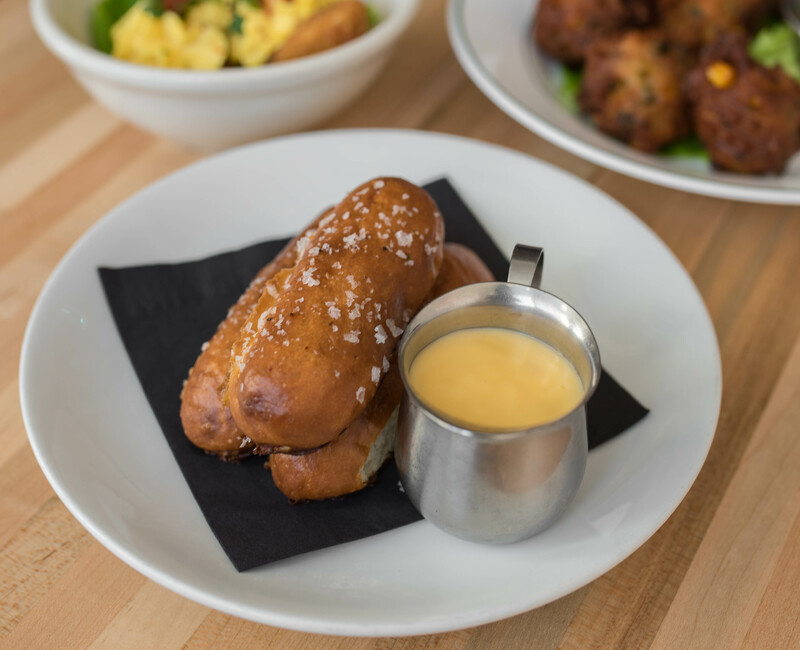 Let’s kick things off with a killer app that’s here to stay: their soft pretzels ($5). These babies come with a side of Cooper cheese sauce, and they a carb lover’s dream. They come warm, straight outta the oven, and the cheese sauce is subtle yet flavorful. Honestly, I could’ve killed two of these easy…and I mean two orders, not two pretzels, ha. Now, these aren’t listed on the regular menu, but they were phenom so I wanted to show you guys a pic. 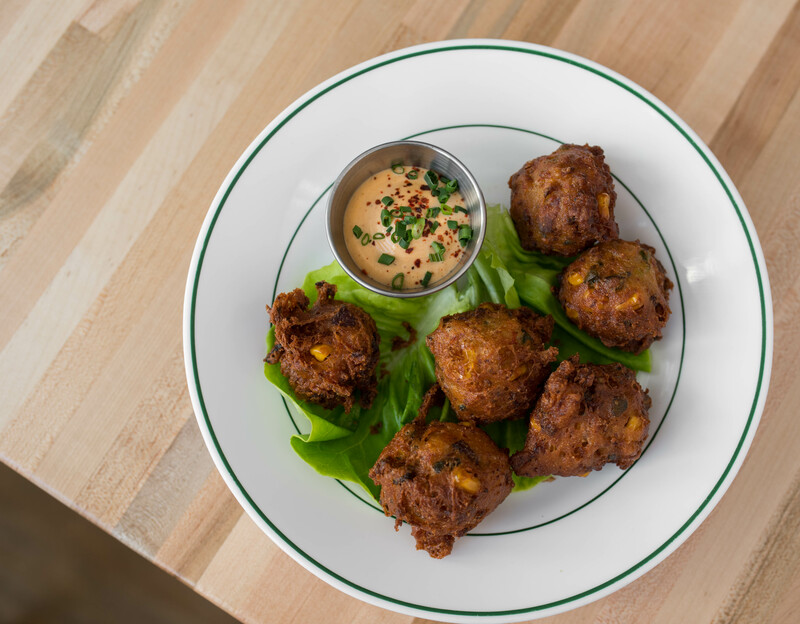 Nomsters, meet Wet City’s crawfish hushpuppies, served with a side of etoufee aioli. These were really quite something so I’m sad I can’t get them again, but on a more positive note, they have specials often so I have no doubt something equally as amazing will be available. 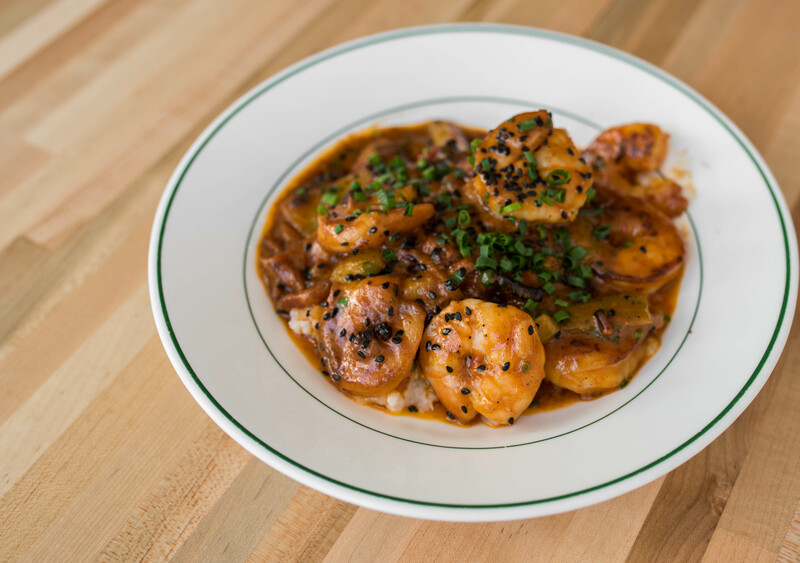 Who here loves shrimp & grits ($19)? Honestly, I’m not usually a huge fan of the dish, but I really liked their interpretation. Cast iron seared shrimp with Anson Mills rice grits, bacon, onion, celery, chive, and benne seed in a spicy tomato broth. It was nice and flavorful, and the grits were creamy as can be, seasoned to perfection. I also really appreciated the portion size – they don’t jip you on seafood so that’s a definite plus in my book. Here’s another angle for you guys just because! 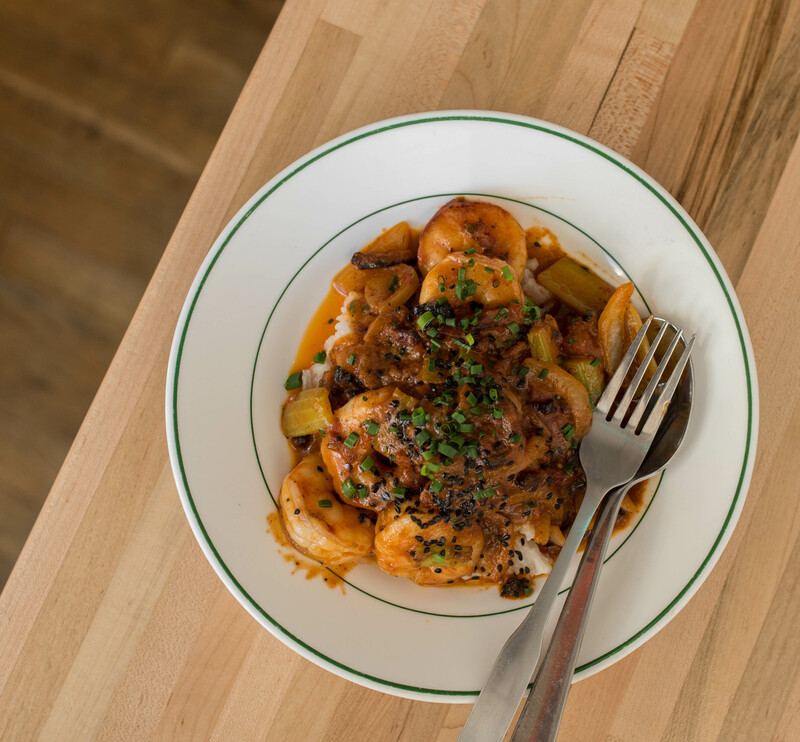 And I always love hearing from you so make sure you comment below with the best shrimp & grits you’ve ever had. FYI, it doesn’t have to be Baltimore! Anddd onto their famed Hot Chicken. Chyno talks about this dish all the time, and I can see why. 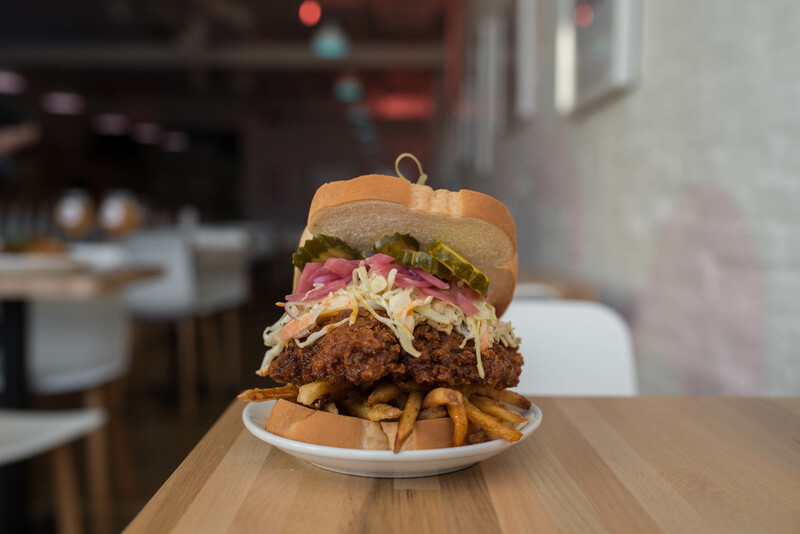 It comes on top of white bread and is served with a side of slaw, butter pickles and herb fries. The chicken is cooked to crispy perfection, and it has a nice amount of heat. The pickled noms are a great touch because they add contrast with their acidity and crunch. It doesn’t come in sandwich form, but Chyno put this together masterfully so we just had to share. How gorgeous is this sandwich though? This is way, WAY better than any Primanti Brothers’ sammy, and I can say that because I’m a native Pittsburgher, ha. What do you guys think – yay or nay? Alright guys, that’s a wrap for today. I hope you enjoyed my latest post on Wet City! Where are some of your favorite places in Baltimore? If you’re from the area, do you go to Mt. Vernon often? If yes, I’d love to hear your recommendations. Don’t be shy, come say hi. Yes, I know that was cheesy as hell, and no I’m not sorry. Ha! 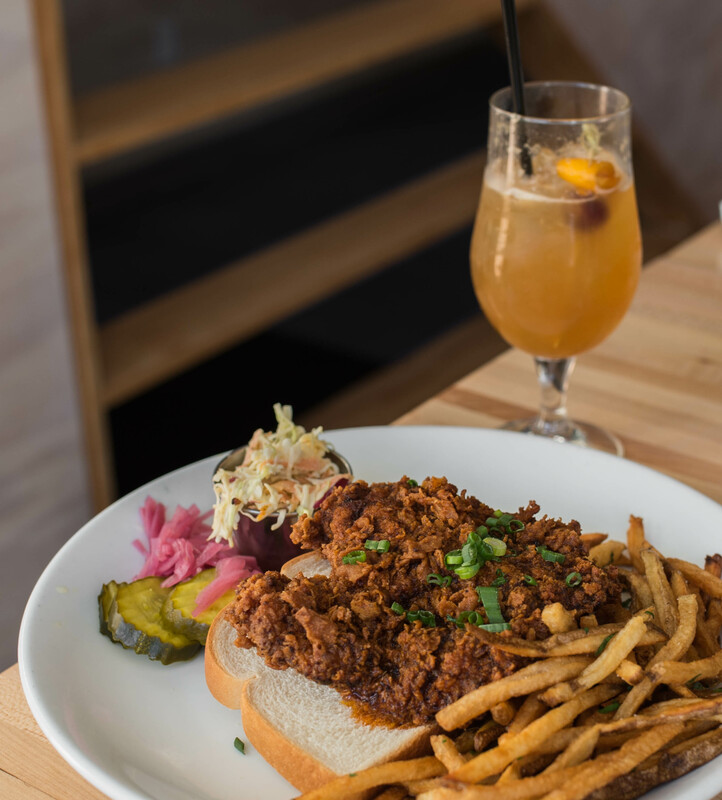 For more MD foodporn, make sure y’all browse this tab. Until Thursday, Nomsters. Next Post Nate’s Wings and Waffles: Best Sandwich in Seattle?